Historically, prospective retirees have been able to rely on a "tripod stool" of social security, defined benefit pension from their employer, and personal savings to meet retirement income needs. Nowadays, however, most employers are no longer providing pensions to their employees causing many individuals that did not save throughout their investing career some hardship when trying to plan for retirement. Many of my clients have accumulated some assets, but not enough. A fair number to retire on in today's dollars is approximately $1,000,000 which would support an income of about $40,000/year, plus social security in retirement. 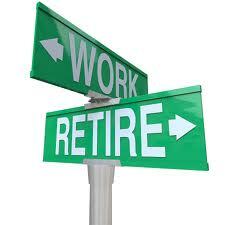 A more common scenario is retirement assets of $300,000 plus a paid off house. With this scenario, one could retire on a maximum of $12,000/year at the safe withdrawal rate of 4% adjusted for inflation, plus social security. This also doesn't account for big market corrections that could throw this off early in retirement. The prospective retirees like the one above with $300,000 would be excellent candidates for a Single Premium Immediate Annuity or SPIA. Now, if you're like me when I hear the word annuity I used to shutter. All I could think about was sleazy insurance salesmen looking to take my money and return it to me over time after taking out BIG FEES. Take a moment and check out this link from the Bogleheads Wiki on Single Premium Immediate Annuities, the only type of annuity I'd ever recommend. In short, you basically give an insurance company a lump sum of money all at once in exchange for an guaranteed income stream for the rest of your life. The older you are when you do this, the higher your income will be as the insurance company will likely have to pay you less over your lifetime. Getting back to our friends with $300,000 in retirement assets and a paid off house, if they could wait until the age of 66 to begin receiving their annuity income, and annuitized $200,000 leaving $100,000 of personal savings, they could expect an annual income GUARANTEED for the rest of their life of $13,000 plus social security. It may not seem like much, but with a paid off house and social security this comes to a nice income of about $2500/month depending on how much social security they'd be receiving. I personally plan on annuitizing a portion of my required income in retirement. What I'll likely do is determine what my bare minimum NEEDS are, and annuitize an amount that would support that, and use a "safe withdrawal method" of 4% indexed for inflation with the remainder of my retirement savings. When polling some of my favorite investing forums, I've found that Income Solutions through Vanguard is an excellent place to check how much you could receive. I'll be using them for my annuity needs, and will likely select an inflation adjusted option. This will provide a smaller initial monthly payment, but overtime it will adjust for inflation based on the CPI-index, offering a nice hedge against inflation. I hope this has been helpful, and has provided some insight to investors in their 40s or 50s that have noticed they may not have enough for retirement. Though there are trade-offs, like not being able to leave much to your heirs or the possibility of default from the insurance company providing you your contract, I feel these are greatly offset by the ability to GUARANTEE an income stream in retirement, regardless of market conditions. This is our best option for replacing the defined benefit pensions many employers offered in the past, and I'd recommend this option to folks with some retirement savings, but maybe not quite enough, OR to someone looking to make sure their minimal needs are taken care of no matter what.